Tanjung Putus Island is one of the islands located in the District Pasawaran, Teluk Lampung, Lampung Province. The island is part of Kelagian Island and Pahawang Island. Pulau Tanjung Putus is a gorgeous island with beautiful panorama over the land. 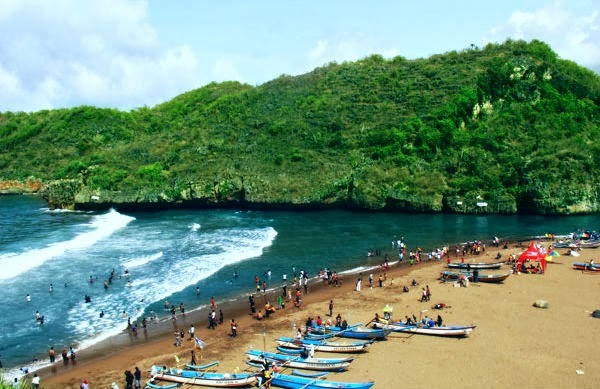 The name of Tanjung Putus or Cutting Cape is taken from it supposedly was once the island that united Sumatra Island. However, due to the erosion of some land covered with sea water and become a small strait. Pulau Tanjung Putus has considerable sloping beach. The clear blue sea water with some coral in it; the browny-white sandy beach will always fine to be visited. Moreover, the rows of palm trees is also enchanted those who want to play and reside. Currently, Tanjung Putus Island has been visited by local and foreign tourists, and some of valuable facilities are available here, like homestay and cottages. Anything for tourists convenients are available during to fulfilling the needs of recreation. To reach this location, we can going to Kampung Ketapang, which is about 35 km from the city center Bandar Lampung or it takes 45 minutes by private or rental car. 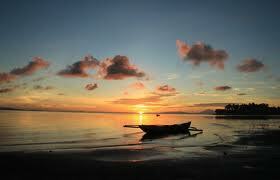 From Kampung Ketapang we can hire a motor boat to cross and to get to Tanjung Putus Island. The rental boat is costs around Rp.400,000 for the return.